Wouldn't it be great to track the weather in the apiary? Well, now I can. Thankfully my apiary is close enough to run a cable from the house to transfer the data back. But in reality, I should be able to use the mobile phone system to transfer data if further away. 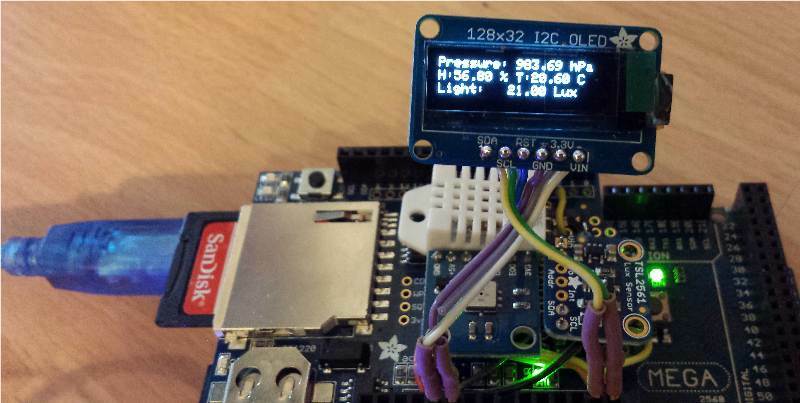 I have an Arduino (in simple terms a small low powered programmable 'computer'), attached to a pressure gauge (or barometer), temperature humidity and light sensor. A 'program' is run on the Arduino that reads the sensors and not only uploads to the graphs below in real time, but also saves the data to a SD memory card. At the moment, the setup is sitting in the house, but hopefully I’ll install in the apiary in the next few weeks. A photo of the Arduino setup is shown in the picture to the right.